Fungicolous fungi are a very large, diverse, ecological and trophic group of organisms that are associated with other fungi. This association occurs with species of different lineages across the fungal kingdom. They are recognized as symbionts, mycoparasites, saprotrophs, and even neutrals. Wherever fungi have been found, fungicolous taxa have also been found. Homogeneous environments favour the development of highly adapted and coevolved fungicolous species, which could have led to host-specificity aspects. As a primary consumer, fungicolous fungi decrease the turnaround time of certain nutrients in food webs, due to their special often-rapid life cycles. They may also significantly affect population dynamics and population sizes of their hosts in aquatic or terrestrial ecosystems. As mycoparasites of pathogenic fungi, some fungicolous fungi have been explored as biocontrol agents. They may also cause serious diseases of cultivated edible and medicinal mushrooms, decreasing both yield and quality. Fungicolous fungi could be used as model organisms that may help determine better understanding of species interactions, fungal evolution and divergence, and fungicolous mechanisms. 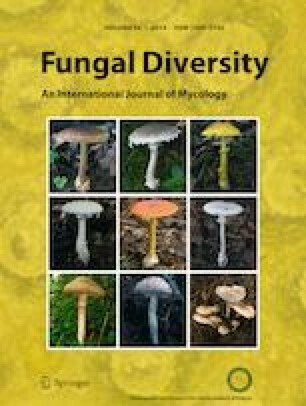 This review summarizes our current understanding of fungicolous fungi, with a particular focus on the terminology, diversity, global distribution, and interaction with their hosts. We also provide a checklist including 1552 fungicolous fungal taxa so far recorded following the updated classification schemes. There is a need for further investigations on this ecologically important group of fungi to better understand their biology, ecological aspects, origin and divergence, host-specificity and application in biocontrol. Accurate identification of these fungi as pathogens and their significance in quarantine purposes on the mushroom industry need further evaluations so that efficient control measures can be developed for better disease management purposes. This research was supported by the Natural Science Foundation of China (no. 31600024).